Left: Marvin Kanayurak takes a break from the whale-towing line and snacks on freshly boiled maktak, or whale skin and blubber. 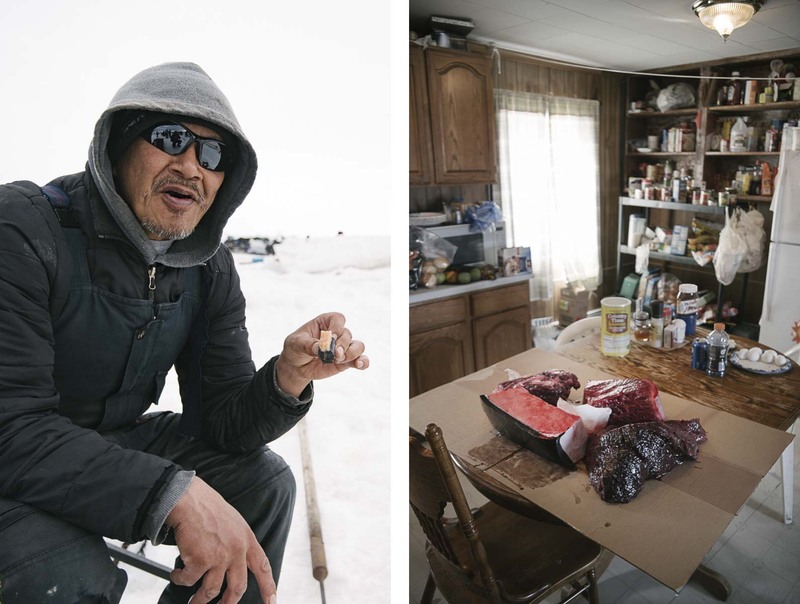 Right: Iñupiaq homes often resemble typical Midwestern houses– with the spoils of subsistence hunting in the Arctic. This whale blubber and meat is being readied to be cut into smaller portions. Fresh raw maktak is a delicacy only eaten twice a year during the whaling seasons.